At our core, we are consumer specialists. We are focused on the patient, their behaviors, desires, expectations and needs. We believe the essence of building a brand starts with your people and processes. We have a genuine passion for helping our clients help their patients. We are proud of our client base, as we know they are good doctors helping people every day see their best. We get to work and interact with patients, while seeing their lives improved by good doctors and technology. Restoring, saving and improving health always impacts quality of life. There is a deep satisfaction in developing a practice culture of clinical and business excellence. 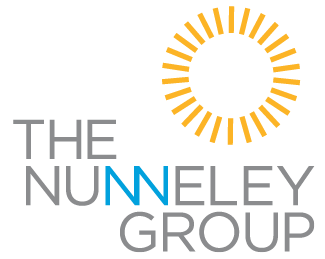 The Nunneley Group has similar experience in the aesthetic field with development of dermatology practices, medical spas and plastics. We currently work for two dermatology groups, two medical spas and a cosmetic surgeon. Our background even includes ownership in a high volume, retail-oriented aesthetics practice in California and the successful startup and sale of a medical spa in Fayetteville, Arkansas, which we continue to develop through consulting and advertising. These very retail, consumer-focused businesses give us an additional layer of service experience. Our job is to get new customers in the door and to keep them in the practice – not just happy patients, but raving fans. Advertising alone is not enough to sustain a healthy practice. A high level of quality care and consumer care keeps patients in the practice and driving word-of-mouth referrals. Our firm has always been about providing customized solutions to help practices grow. Let’s give your patients something (good) to talk about.